The 4Gb Fibre Channel Pass-Thru Module for HP c-Class BladeSystem is designed for those customers desiring to connect server blades directly to external Fibre Channel SAN switches or directors instead of HP Fibre Channel Virtual Connect or BladeSystem SAN switches. Note that servers must always connect to a SAN and never directly to a storage device. 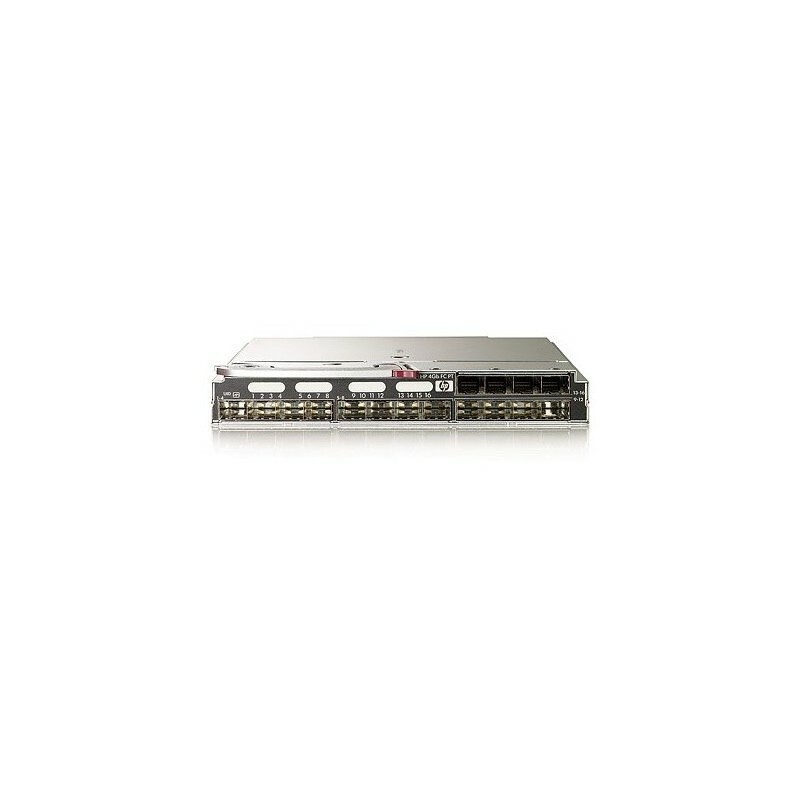 Ideal investment protection for datacenters with existing storage networking infrastructure, the HP Fibre Channel Pass-Thru Module delivers up to sixteen 4Gb Fiber Optic IO connections providing a 1:1 non-switched, non-blocking paths between the server blade and the SAN. The modular design is hot pluggable and easily installs into the I/O bays of the c-Class enclosure. Installing a pair of Fibre Channel Pass-Thru Modules provides redundant paths for connection to your all-external SAN.